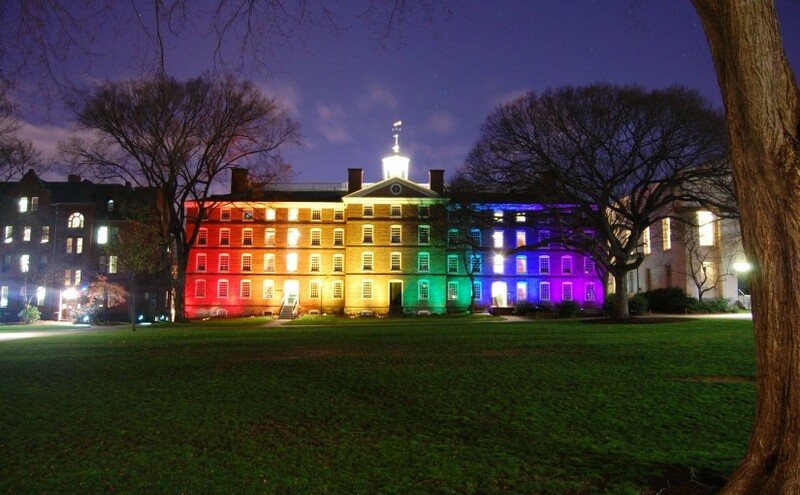 During the weekend of November 15th, 2008, University Hall looked like a rainbow. 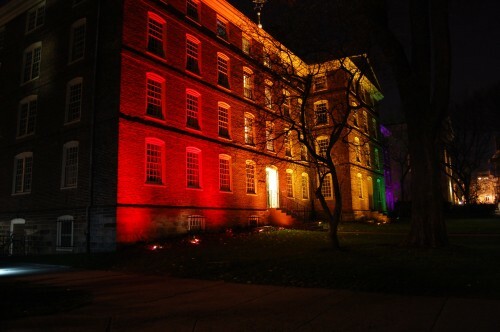 To promote a campus event, students installed temporary colored gels over the usually white lights. The overlapping projections of color saturated the building with a smooth ROYGBIV rainbow gradient. Johnny and I took the camera and tripod to the Main Green late on Sunday night to capture some long-exposure shots. We set up just in front of the Sayles Hall steps and explained to a suspicious patrolling campus safety officer that we weren’t a threat. After fine tuning the manual mode settings, we also switched the output filetype to NEF (Nikon’s raw image format) so we might have more agility in adjusting the exposure once post-processing came around. After quite a few trials (and even more errors) we perfected our composition–and just in time: a bank of clouds promptly rolled in from the west, shrouding the ultramarine sky with taupe in each exposure. Johnny and I moved around the green to shoot from other angles, though the glare from nearby streetlamps interfered with close-ups. 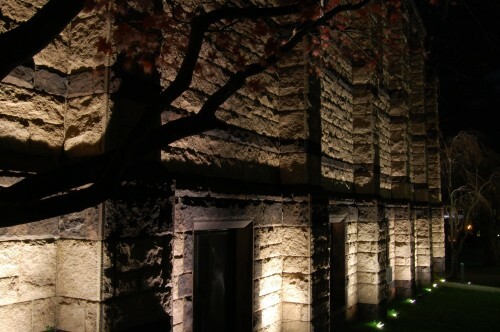 To end the night, we took a few more exterior shots of Sayles Hall. All photos are available in full resolution on the “Night Shooting” album on Flickr under the usual Creative Commons License.